It is the sad duty of the EHF to report the death of Kees Wiebrands from the Netherlands following a short illness. 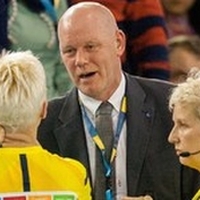 An EHF delegate since 2012, Wiebrands started his career with the federation as a referee in 1999. He was also an IHF referee between 2001 and 2009 together with his partner, Ferry van der Helm. Before his career as an official he was goalkeeper and played in the Dutch second division. His last game for the EHF as a delegate was in June 2016, when he officiated in the Men’s World Championship Play-off match between Russia and Montenegro. He also played an active part in the sport back in his home country and had been a member of the Dutch Handball Federation’s referee committee since 2011. The EHF joins the whole of the handball family in offering its sincere condolences to Kees’ family, friends and colleagues at this difficult time. Details of the funeral can be found here.